Hey everyone! So I took a trip to a dermatologist this summer for a yearly check up. As he was examining my skin, he noticed I had quite a bit of acne that needed to be treated. This surprised me because the day I went I thought my skin was actually having a good day. While I was there he recommended me some face products and gave me great tips that I want to share with you today that I hope will help you. Thanks to puberty, my acne started whenever I was an 8th or 9th grade and I hated it. For the longest time, I felt like I couldn't go anywhere without wearing foundation and I felt ugly. I tried countless acne products from drugstore to high end and nothing seemed to work. It was always too drying or not strong enough. I finally went to the dermatologist in high school and they did not really give me a lot of options. 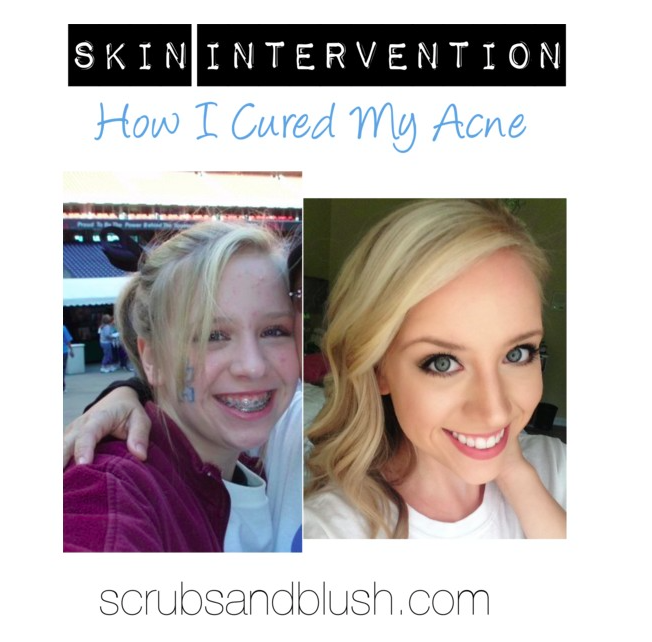 I took an antibiotic pill specifically for my type of acne, but after having a rare reaction to it, my only option was Accutane which I did not want to do due to the risky side effects. Luckily, as I matured the acne got a little better but my acne scarring got worse. I have very fair skin so just about anything will show up like a white sheet of paper. The picture above to the left was when it was probably the worst which was in 2007. At age 21, I still suffer from breakouts due to stress but nothing like the breakouts I had years ago. Thankfully, I am more comfortable in my own skin and know what works for me and what doesn't. I am still constantly in the process of improving my skin everyday. This is a cream cleanser and makeup remover. I used to use makeup wipes but I was getting annoyed always running out and using a separate eye makeup remover. I wanted to find a product that could do both. I just picked this up yesterday and I really like its. 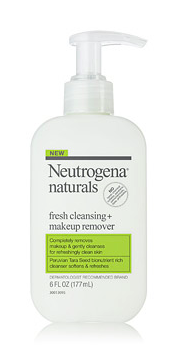 Its a gentle creamy cleanser that makes taking off your face and eye makeup all at once. This cleanser is free of any harsh chemicals, sulfates, parabens, petrolatum, dyes, and phthalates which I was really happy with. When using any makeup remover whether it's a cleanser or wipes, it is always important to find something organic and gentle if you're going to be using a face cleanser after. I was really nervous to use this product because I immediately thought since it was for acne prone and it was a foam wash it was going to be too over drying but I was SO wrong. Wow. This product is worth every penny. 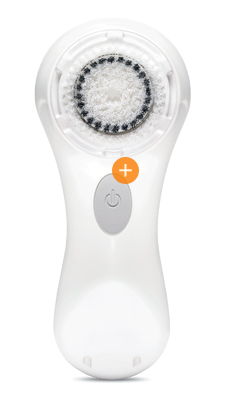 I feel like even if I don't use my Clarisonic with it, it still feels like it deep cleans in my pores. It is not over drying at all and makes my skin feel smooth but not greasy. 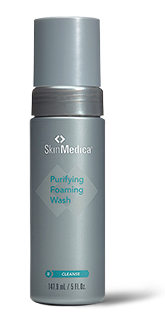 The main ingredient in this wash is 2.0% Salicylic Acid. I was very surprised to see how many natural ingredients were in this face wash such as Willow Bark extract (the natural form of Salicylic Acid), Witch Hazel extract, Sage extract, and Tea Tree oil. I would recommend this to anyone who has issues with breakouts whether it is mild or severe. All of these ingredients treat the number of blemishes, exfoliates, reduces appearance of pores, and provides antioxidants. I'm aware that this face wash is expensive but trust me I have tried a LOT of acne products in my day and nothing will compare to this. This product is a serious game changer. You may ask yourself, why would I need a cleansing brush? Why cant I just use my hands or a rag? Well, this brush head will cleanse your skin 6X more than your fingers or a rag. Your fingers won't exfoliate the skin enough and a rag is actually too harsh for your delicate skin especially around the eyes. Once again you're probably thinking, this product is so expensive I can just buy something similar at the drugstore. Well, honestly, this doesn't compare to any other brand. I know many brands like Olay, Neutrogena, Mary Kay, and many others have come out with cleansing tools. Those are better than nothing, but Clarisonic is the best because it's customized to your specific skin type. They have over 8 different kinds of brush heads for every type of skin. I have the cheapest one which is the Mia 1, but there are over 5 different kinds devices to choose from based on speeds and other features. I have had this brush for at least 8 years and it's still going strong. They last forever and are extremely durable. Ladies and gentlemen, you need this. Out of all of the products I have listed, these have made the biggest difference in my skin. When I went to the dermatologist, he identified the root cause of my acne being bacteria related so he prescribed me these antibiotic topicals. I use Clindamyacin in the morning. This lotion feels like of watery but it's fast absorbing and makes my skin really soft. I feel like it controls my oil all day without over drying. 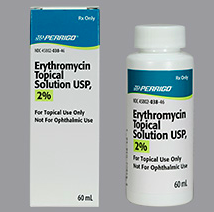 I use the Erythromyacin solution at night and just use it on specific areas where my skin is breaking out. It's a higher solution so right after I apply it the water feeling but then it turns to kind of a sticky feeling. I love this solution because I feel like all my blemishes will go away the next day. 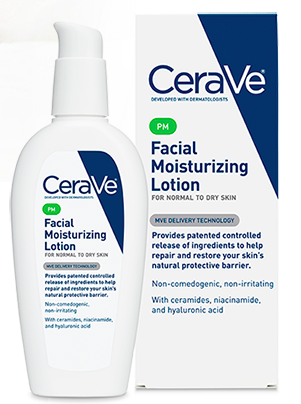 I was so surprised to see my dermatologist recommend this product to me because they don't make any lotion specifically for acne prone, oily, or combination skin. I was worried that it was going to be heavy even if I used it just once a day but it isn't! It makes my skin feel amazing and it's actually light weight. This lotion contains ingredients like ceramides, hyaluronic acid, and niacinamide. The ceramides and hyaluronic acid in this product increases the skin's ability to hold moisture and penetrates deep into the first layer of the skin to replace the essential lipids your skin needs to protect itself. The niacinamide in this product helps reduce any inflammation in the skin. The thing about this lotion that separates it from anything else is that is does not absorb when it immediately hits the skin like other moisturizers do. This lotion's ingredients penetrates the skin slowly over time in order to properly distribute deeply into the skin. This lotion is suitable for all skin types because all of the ingredients are essential for any ones skin to restore. The best part about this product? You can get it at any of your local drugstores. Identify the root cause of your blemishes. Is it hormonal when you break out close to your menstrual cycle? If so, you can control this by hormone therapy like birth control. Is it bacterial? Make sure you are not touching your face during the day, cleaning your makeup brushes, and replacing your pillowcases every two days (yes, two days... oils from your hair and face will build up). If you are still having concerns, then your dermatologist can prescribe you antibiotic topicals and/or antibiotic pills. Do NOT touch your face under any circumstances. I know I used to be absolutely terrible at this. I would break out because of stress and because I was stressed, I would touch and pick my face even more. My dermatologist calls them "blood tattoos" which could not be a more perfect name. This will cause you to have red scars that can turn darker shades like purple and brown with sun exposure they are very difficult to get rid of. They will eventually fade, but it takes months to years. With microdermabrasion therapy or at home microdermabrasion products, and/or peels, you can speed up the process of fading your acne scars. Not only does microdermabrasion and chemical peels help with fading scarring, but they help your products penetrate deeper into the skin. You just have to be patient. I have finally broken this habit of touching my face throughout the day, and I have seen a huge difference. What are extractions? Extractions are the process of removing any blackheads and whiteheads using a needle and must done by a licensed esthetician. Extractions are usually done after cleansing and exfoliating which helps open up any hardened sebum that cause blackheads. It is important that you go to a trained a professional instead of trying this yourself. If extractions are done incorrectly, it can cause more problems like hyperpigmentation and infections. I used to wear a medium to full coverage foundation everyday. I switched to wearing a BB cream and then setting it with mineral powder afterward and I have noticed a great difference in my skin especially since it is getting warmer outside. I now wear heavier foundation only a couple times a week. I asked my esthetichian about the best and worst foundations. Her answers? Best= Bare Minerals and Worst= MAC. Bare Minerals is best for daily use and MAC is best for special occasions. If Bare Minerals is not enough coverage for you, wear a BB cream under it or wet your beauty blender and apply mineral powder. That's all I have to say about my "skin intervention". After reading this post, ask yourself- do you need a "skin intervention"? Don't hesitate to ask me any questions or concerns!